Over the summer, I worked with a team of volunteers to put on an event that we hoped would encourage Edmontonians to rediscover Chinatown. The neighbourhood is so full of history and possibility, but has largely been overlooked over the last number of years. 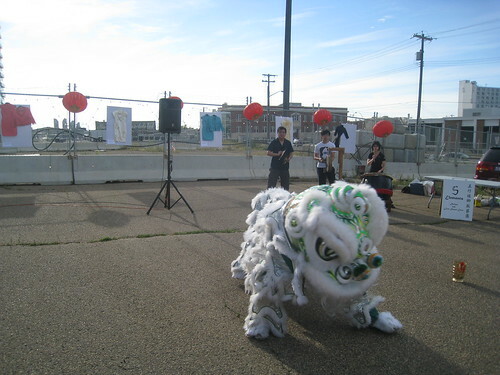 While we recognized that the Business Revitalization Zone and to a greater extent, the McCauley Revitalization Strategy, had attempted to facilitate positive developments, we believed that something different was needed to foster the imagination of what Chinatown could be. 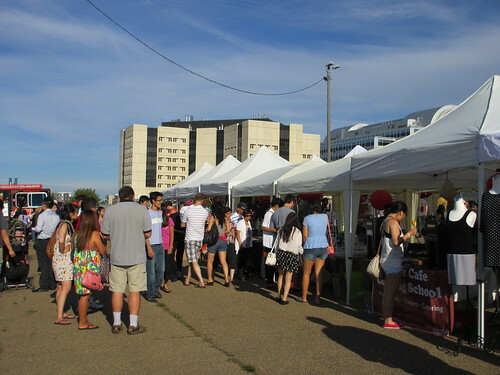 From there, the 97 Street Night Market was born. With a generous grant from the City and some committed supporters, we were able to transform a vacant parking lot into a welcoming space that introduced or reacquainted patrons with the dynamic nature of night markets right in the heart of Chinatown. 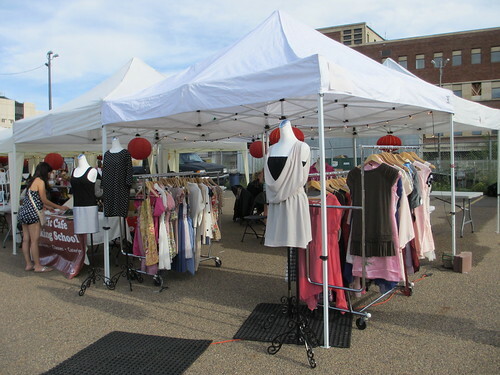 Vendors were the commercial anchor for the event, and we were happy to have engaged some area businesses, including Universal Music and Pacific Café, as well as others from around the city. The range of trinkets to fashion items was varied enough for visitors of all ages! 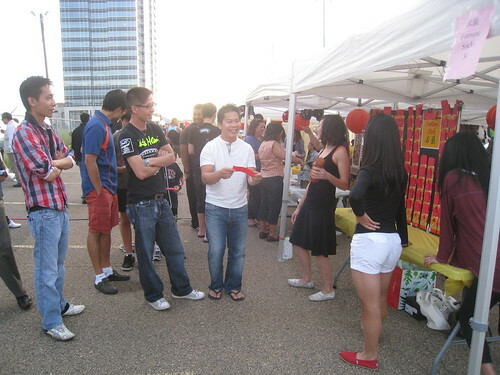 No doubt, one of the most popular booths that day was actually one of ours – we had borrowed a set of fortune sticks from the Edmonton Chinese Bilingual Education Association, and volunteers sold fortunes for $1 a pop. That night, nearly 200 fortunes were told! 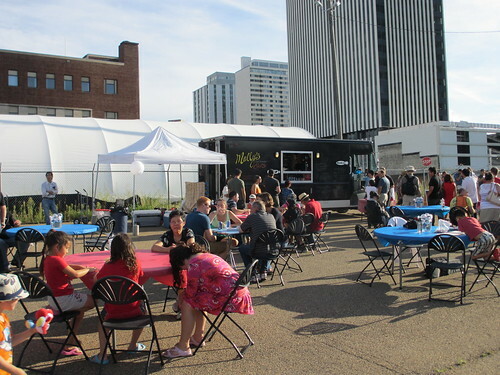 We were fortunate to have The Lingnan Express, Molly’s Eats and Swich on-site, offering Asian-inspired dishes, including oyster omelettes, curried fish balls and matcha green tea ice cream sandwiches. 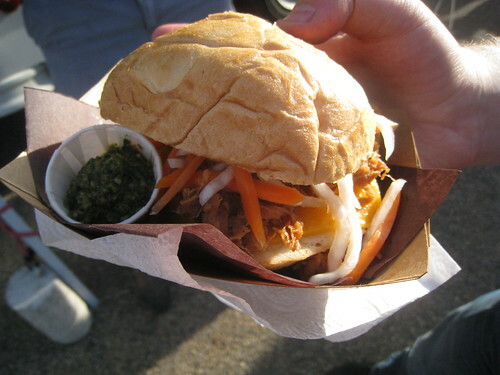 Though not from the window of a food truck, Gama was able to offer another night market staple – bubble tea. In addition, the market provided us with an opportunity to highlight many young performers. 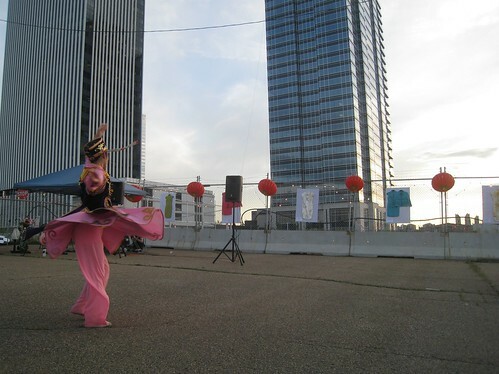 Some were more traditional, such as 5 Elements, who opened the evening with an engaging lion dance, while others displayed a fusion of cultures, including Nanyen Lau, who played the Titanic anthem of “My Heart Will Go On” on an erhu. My favourite act was the energetic Convergence Dance Crew, who drew the biggest crowds to the stage with their infectious K-pop covers of Psy’s recent hits. 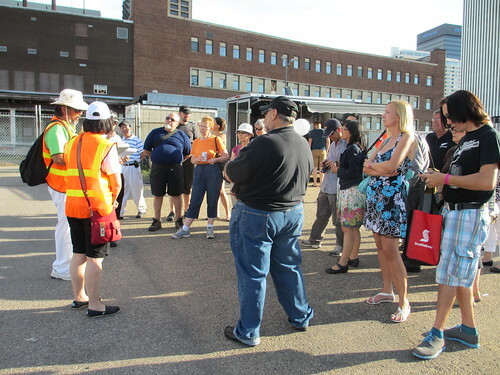 Patrons also had the chance to participate in three different walking tours of the neighbourhood that highlighted various facets of Chinatown. The first had nearly thirty participants so engrossed in the tour the guides ended up doubling the originally-intended length! No question, we learned that tours of all varieties should be offered of Chinatown on a regular basis; people are curious, and want to learn about the neighbourhood’s rich history and hopeful future. For me, it was the creation of a neutral, safe space that most excited me. The perceived “ethnicity” of Chinatown is daunting to some who aren’t familiar with its businesses, while for others, the stereotype of an unsafe, neglected neighbourhood discourages exploration. 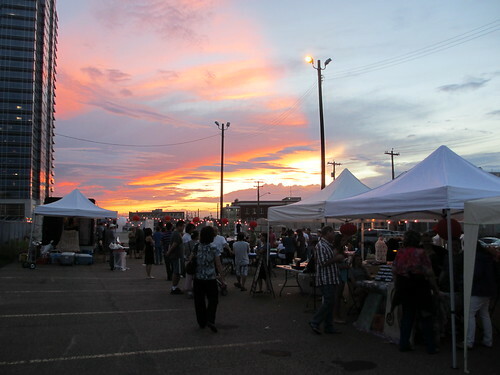 That night, it was heartening to see people of all generations from many different backgrounds convening in a single parking lot, feasting, shopping, and otherwise socializing. It was a gathering place not normally found in Chinatown, and one that I hope will be replicated in the future. There are a litany of people to thank who helped make this event a reality. Qualico and Ledcor generously donated the site, and worked around our request, in spite of the ongoing demolition of the building directly south of the lot. Jane Molstad of the McCauley Revitalization Strategy immediately recognized the potential of this idea, and worked tirelessly to ensure the grant came through! We also couldn’t have done without the enthusiastic and hard working day-of volunteers. Lastly, thanks to all those who came, taking a chance on a first time event! I’ve been asked more than once if the night market will become an annual event. Although I can’t answer the question definitively yet, I can say that a few of us are working to continue the momentum we began that day in some form or another. Stay tuned!